Description: The Front Step Up is a unilateral exercise to build strength in the lower body. It can be used as a quadricep dominant exercise by raising the heel or used as a complete lower body exercise. It builds balance and speed while teaching you how to control compensations, especially in weight transfer adding to stabillity and power to your golf swing. For the front step up you will need a step or a box. The height can vary, but start with only a foot or two and see how you do. Start by standing erect with your shoulders back, chest out and face forward. 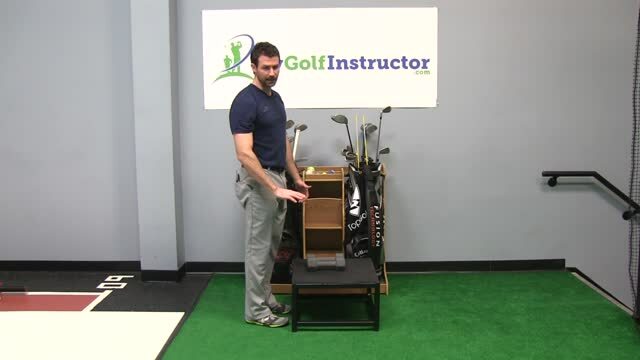 Your feet should be a comfortable hip width and you should be standing facing the box or step. Taking one foot, bend your knee and step up onto the step. Extend that leg until it is straight. Step down and repeat the exercise. Step up to the count of one, pause and then slowly lower down to the count of 3.